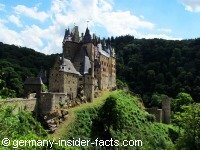 Visit German castles and step back to the Middle Ages. Feel like the hero in a fairy tale, or the king of baroque. Castles in Germany are varied, mysterious and full of history. My husband and I explored countless ruins and castles in Germany during our journeys. I really like basic medieval castles, even ruins. I often wonder what is was like to live in a castle during the Middle Ages? Apart from the open fire, what kind of conveniences did they have? I am pretty sure, winters were too cold for my liking. 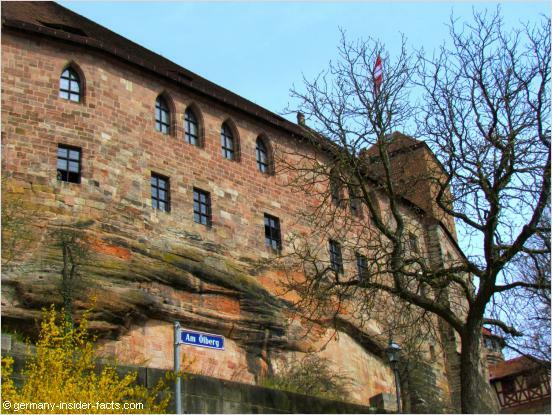 The Nürnberger Burg sits on a sandstone rock and dominates the old town. The complex had been extended from the 12th to the 15th centuries. It is part of the northern fortification. Did you know there are more than 20,000 castles and castle ruins in Germany? With the help of volunteers, the European Castle Institute is working on a data base to include all castles, palaces and ruins in Germany. A huge task! Come on, I invite you to discover my favourite Burgen & Schlösser in Germany with me. During the Middle Ages, the German realm was divided into dozens of small states, ruled by kings, dukes, earls, and even bishops. These states formed the Holy Roman Empire, ruled by an Emperor. However, the Emperor's power was rather restricted. The leaders of the states and territories within the Empire built castles to control their areas, for defence, and as centre of administration. Castles were a symbol of power! 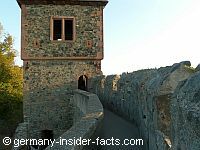 Castles in Germany were often built at strategic points, on top of a mountain, or at a place to protect an important trading route. The appearance of most German castles changed over the centuries. They were destroyed by fires or enemies and rebuilt. New owners added additional buildings and changed the style. While medieval castles were mainly fortresses and lacked comfort, there are also beautiful palaces which were built for representation and convenient living. 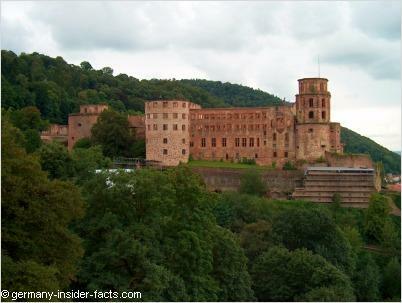 Discover the majestic Schloss that overlooks the old town of Heidelberg. Enjoy breath-taking views, see the world's largest wine barrel and Germany's pharmacy museum, and walk around the beautiful gardens. There is so much to do at Heidelberg castle. With estimated 3 million visitors each year, both Heidelberg and its majestic castle are one of the most popular tourist attractions in Germany. or check out guided tours to the castle. Built in the 19th century, this palace is another favourite destination and well-known around the world. About 1,3 million visitors come to see Neuschwanstein each year. Commissioned by the eccentric Bavarian King Ludwig II, this fairy-tale castle overlooks the village of Hohenschwangau (with another beautiful castle) and is close to Fussen in southern Bavaria. The design was influenced by Ludwig's love for Richard Wagner's operas, which reflect ancient German mythology. My friend Edd wrote this fantastic guide to help you plan your trip. The castle in the Eifel mountains near Münstermaifeld dates back to the early 12th century. It has been owned by members of the Eltz family ever since. Burg Eltz was never destroyed in a war, so you can clearly see how the different families added new buildings within the walls. 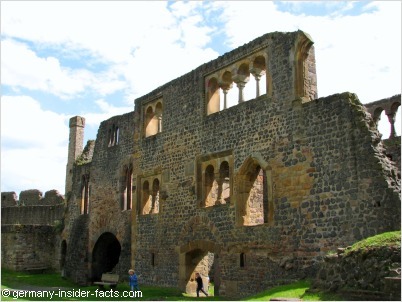 This fact gives the castle its somewhat unusual appearance, highly interesting. 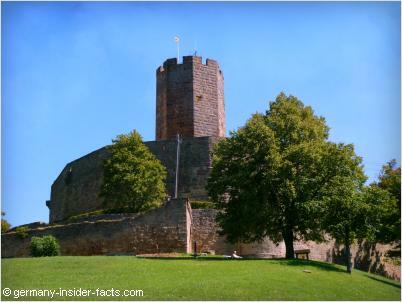 This medieval fortress is one of the largest Staufer castles in Germany. 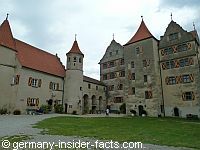 The impressive complex overlooks the small village Harburg on the Romantic Road. It's appearance has not changed much since the 18th century. Explore more than 900 years of history on a guided castle tour, live and dine like a "king" in the hotel & restaurant. You won't regret your visit. This beautiful little castle will always have a special meaning for me. My husband and I discovered this lovely place on our first holiday in the 1970s, we even spent one night in the castle which was a hotel at that time. Of course, we visited Schloss Stetten every time we were nearby. The castle is family-owned and the surrounding village is a retirement centre. In a beautiful setting on top of the 855m (2,805 ft) Mount Hohenzollern near Hechingen, the origins of Hohenzollern date back to the first half of the 11th century. The ancestral seat of the Prussian Kings and Emperors was destroyed twice during its long history. The castle you see today was built in the 19th century. It is still owned by the Brandenburg-Prussian line, and the Swabian line of the Hohenzollern family. Situated on a precipice close to Eisenach, Thuringia, the Wartburg is one of the oldest and most important historical castles in Germany. 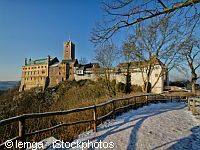 The UNESCO added the Wartburg to the World Heritage list in 1999 for its cultural significance, being an "Outstanding Monument of the Feudal Period in Central Europe". As "Junker Joerg", Martin Luther stayed incognito at the castle for 9 months. During this time he translated the New Testament from Latin to German. The Saalburg is the most completely reconstructed Roman fort in Germany. 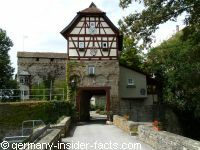 It is part of the upper German Limes, and is situated close to Bad Homburg in Hesse. 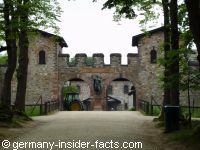 In the late 19th century research and examinations of the Limes Germanicus and its forts lead to detailed excarvations in the Saalburg area. Kaiser Wilhelm II. ordered the reconstruction of thi Roman fort. Today, the Saalburg is an archaeological park and museum, and a favourite destination for school excursions. Locals call the castle with the two impressive keeps "Wetterauer Tintenfass" (inkwell of the Wetterau). Münzenberg castle can be seen from far when you drive on the Autobahn between Frankfurt and Gießen. Myths and legends surround the castle ever since it was built in the 13th century. The most famous legend that the alchemist Johann Conrad Dippel, who was born at Frankenstein castle, influenced Mary shelley to write the Frankenstein novel, has never been proven. Since the 1970s an annual Halloween festival is held at the castle. Visitors can see the spooky probs scattered on the grounds all around the year. 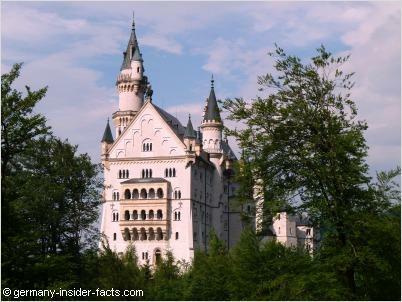 The imperial palace was founded by the Holy Roman Emperor Friedrich I Barbarossa in 1170. 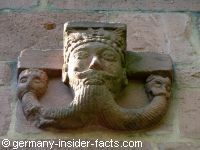 There's only a ruin left, but it is still worth to visit the Kaiserpfalz in Gelnhausen, Hessen. With its prominent location on top of an extinct volcano, Steinsberg is also known as the "compass of the Kraichgau". 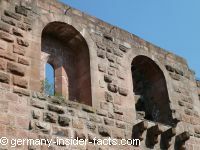 Most ruins and castles in Germany are open to the public. You can either explore them on your own, or join a guided tour. 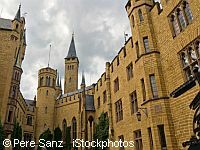 Click here to check out Viator's castle tours in Germany. Edd Morris writes about castles in the UK, Italy, Sweden and Austria.